Our 2-way clothing merchandising rail base is the perfect shop floor merchandising tool. With a large square base, it is sturdy enough for whatever your merchandising needs. With the ability to add 4 arms of your choice - stepped Arm, Straight Arm or Sloping Arm. (SOLD SEPARATELY) This 4-way display rail gives you ultimate flexibility on the shop floor. The rail comes as a flat pack kit, is easily assembled and can be on your shop floor within 15 minutes of unpacking! The chrome finish gives it a high-quality professional feel and has been manufactured to be strong and durable. 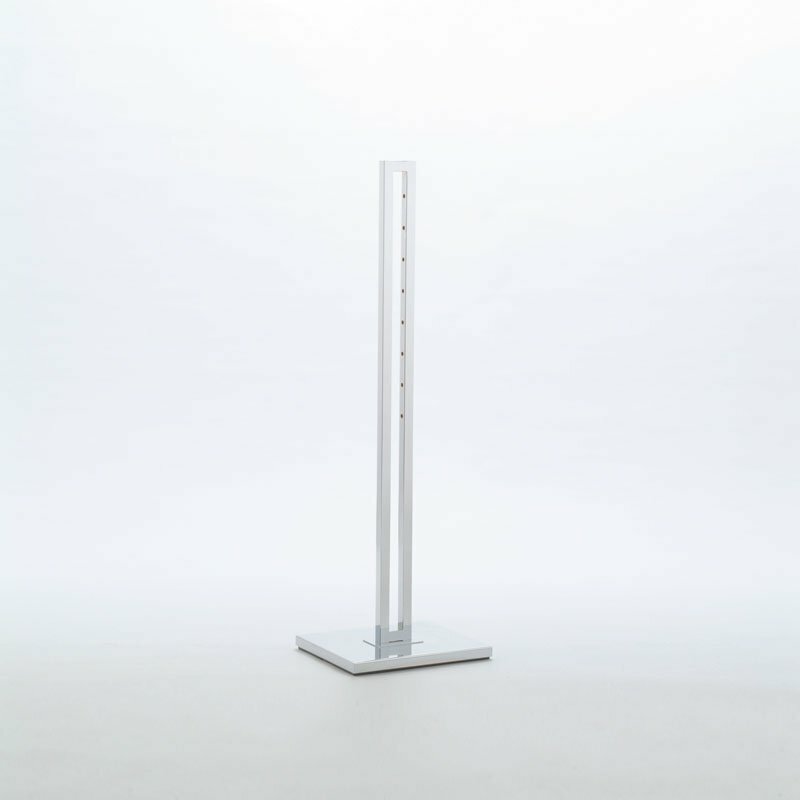 Metal base 305mm x 380mm (arms sold separately) Base allows arms to be adjusted every 75mm from 1220mm to 1830mm. Chrome plated.